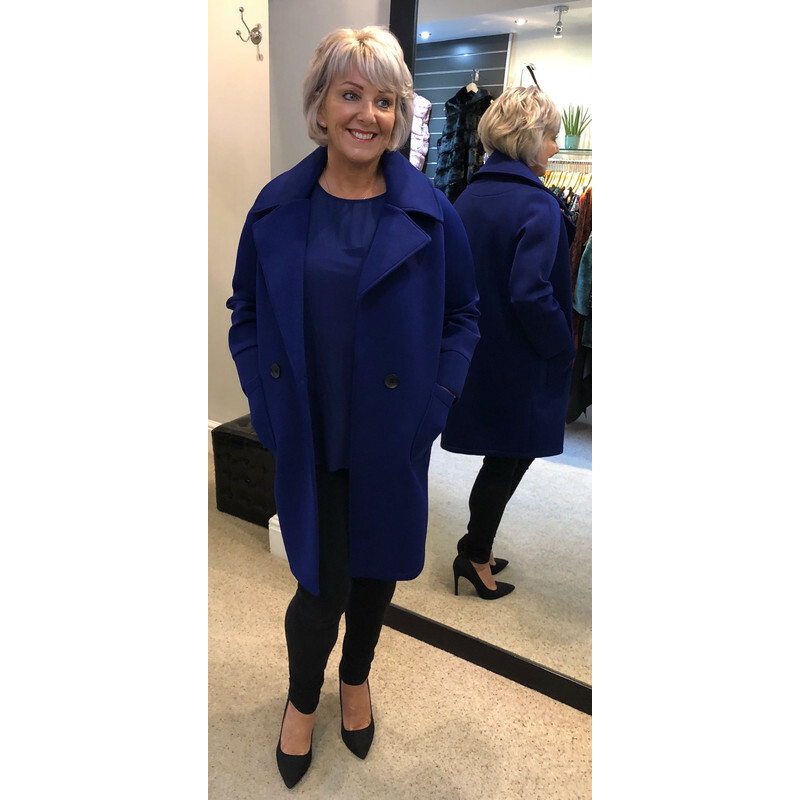 Zoe coat from Deck is a scuba fabric lined coat. It has a collar, 2 deep pockets and 1 button fastening. Medium would fit sizes 10-12 and a large 14-16. 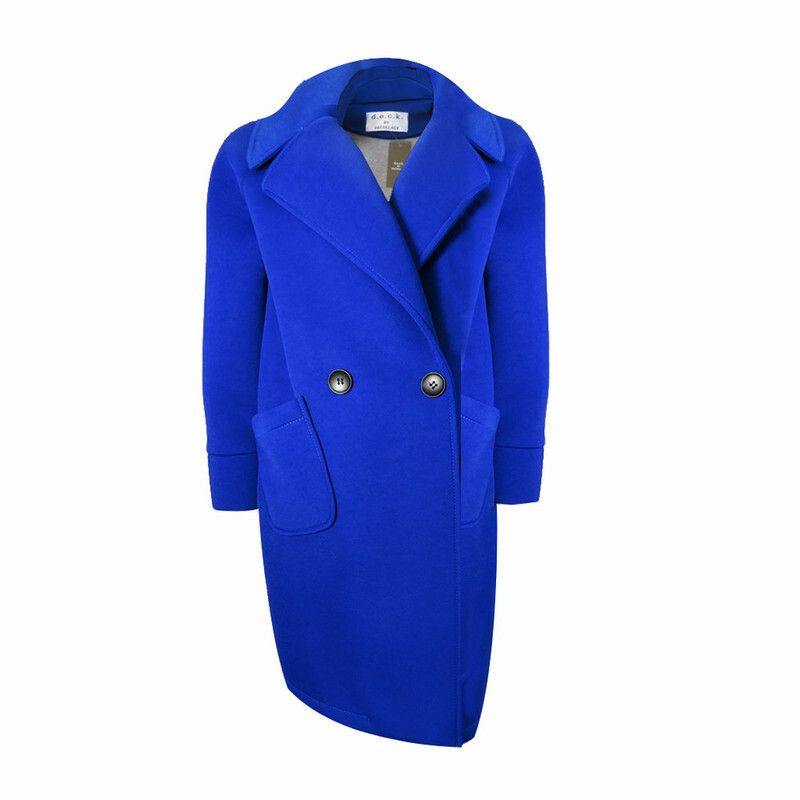 Lined coat.